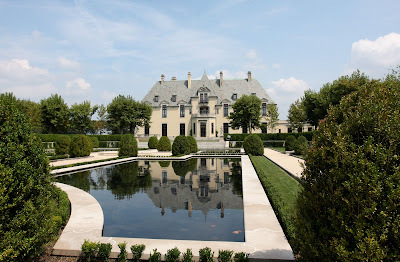 A view looking back at the house from the formal garden at 'Oheka', the Otto Hermann Kahn estate designed by Delano & Aldrich c. 1915 in Cold Spring Harbor. Click HERE for more on 'Oheka'. Merry Christmas!